For my last birthday party I decided to bake a cake that would be different than any other birthday cake. 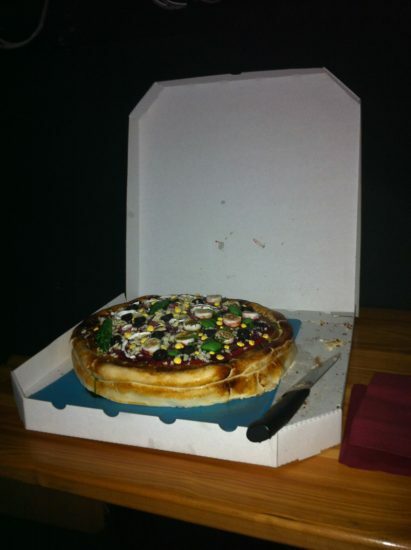 As I watched some videos on youtube, I stumbled upon this cake that looked like a pizza. So I decided to try to make one by myself. However, I didn’t want to copy one of those youtube-cakes but create my own version of it. First of all I baked a pound cake. I used the recipe from Thomas Joseph on Kitchen Conundrums (https://youtu.be/dNMM9XPZ_3o). To this basic recipe I added 1 small can of pineapple, drained and pureed. I then baked it in a jelly roll pan. After cooling inside the pan I cut out a round pizza-like shape. 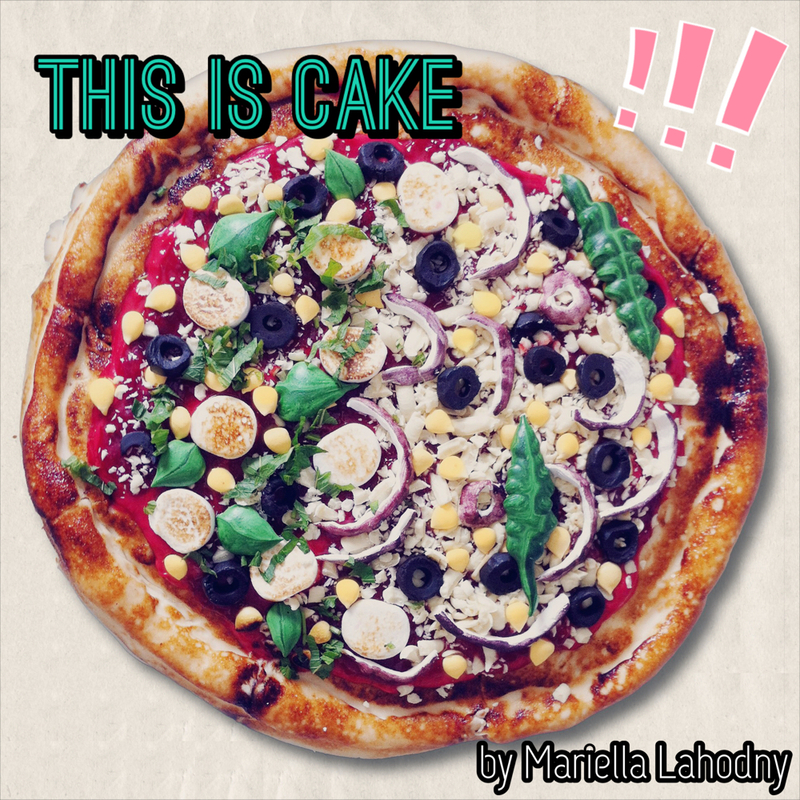 To further shape my pizza I removed some of the cake on the inside to get a thinner base but thicker “pizza”-crust. Using a serrated knife I carefully rounded the edges, brushed them with edible glue and covered them with a thick strip of tan-colored fondant. To give it the look of a real pizza-crust, I pressed the fondant with my fingers into shape and torched it until it got golden brown. As a pizza-sauce I used some home made pastry cream (the recipe can be found here: https://youtu.be/0y9t2g7PSIw) that I colored tomato-red and just spread onto the center part of the pizza cake (the part that was not covered with fondant).